East Mesa home looking to hire a house keeper for three to four times a week. Willing to pay $10 per hour.East Mesa home looking to hire a house keeper for three to four times a week. 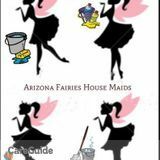 Willing to pay $10 per hour.East Mesa home looking to hire a house keeper for three to four times a week. Willing to pay $10 per hour.